WASHINGTON, D.C. – Bipartisan legislation was introduced this week to help state and local law enforcement obtain screening equipment to quickly detect dangerous drugs like the deadly synthetic opioid fentanyl so that authorities can investigate appropriately. The Providing Officers with Electronic Resources (POWER) Act – introduced by U.S. 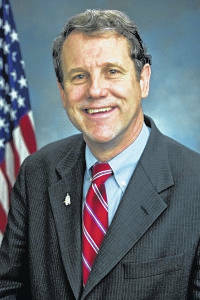 Senators Rob Portman (R-OH), Sherrod Brown (D-OH), Shelley Moore Capito (R-WV), Charles Schumer (D-NY), Marco Rubio (R-FL) and Ed Markey (D-MA) – would establish a new grant program through the U.S. Department of Justice (DOJ) to help state and local law enforcement organizations secure these high-tech, portable screening devices. “Fentanyl continues to ravage communities in Ohio and across the country. Law enforcement and other first responders need all the tools available to detect and stop fentanyl, which is 50 times more powerful than heroin. 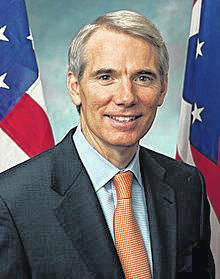 The POWER Act will help provide officers with devices to screen and identify fentanyl and other synthetic drugs more quickly and efficiently,” Portman said. “Police officers, paramedics, and other first responders face tremendous danger when responding to scenes where fentanyl and other dangerous substances are present. We must do everything we can to shield law enforcement officers in Massachusetts and across the country from the dangers of fentanyl as they serve and protect our communities. I am proud to join my colleagues in introducing this important legislation to provide law enforcement with tools to immediately identify fentanyl and other illicit synthetic opioids,” Markey said. The POWER Act gives law enforcement officers access to the same high-tech screening devices Markey, Brown, Rubio and Capito secured for Customs and Border Protection agents in the INTERDICT Act. President Trump signed INTERDICT into law earlier this year. These devices are already widely used by federal law enforcement to identify dangerous drugs at U.S. ports of entry. The devices use laser technology to analyze potentially harmful substances – even through some packaging – and identify those substances based on a library of thousands of compounds that are categorized within the device. The devices could also help address the backlog of drugs awaiting laboratory identification which will allow law enforcement to more effectively conduct drug investigations and prosecutions. Without these devices, suspected drugs have to be sent to labs for testing – which can take months in some cases, delaying the justice system. And because the devices can quickly and effectively alert officers to dangerous substances in the field, they also help ensure officers can test and handle substances like fentanyl safely. The POWER Act is supported by the National Sheriffs’ Association, Fraternal Order of Police, Major Cities Chiefs Association, Federal Law Enforcement Officers Association, National Association of Police Organizations, National HIDTA Directors Association, Sergeants Benevolent Association, International Union of Police Associations, National Narcotics Officers’ Associations’ Coalition, National Alliance of State Drug Enforcement Agencies, National Tactical Officers Association, Buckeye State Sheriffs’ Association, and Ohio Fraternal Order of Police.